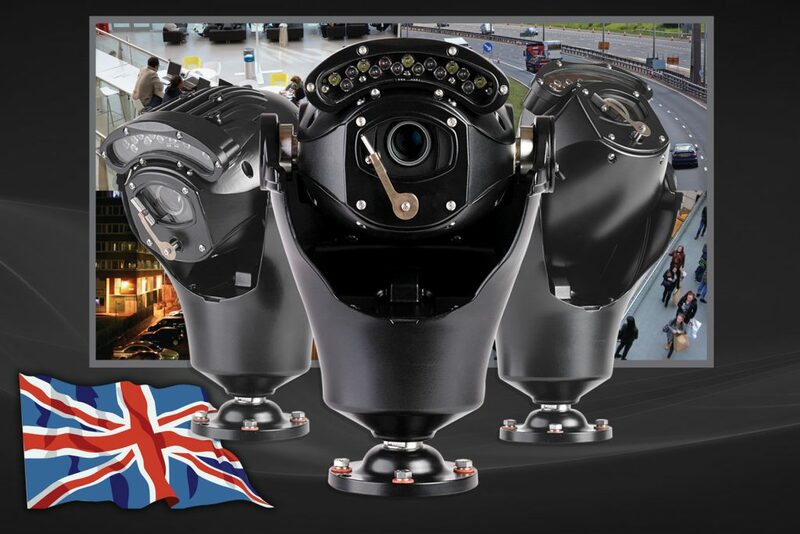 360 Vision Technology, the leading UK CCTV manufacturing company, has launched Invictus, a new range of cost-effective, high-performance, ruggedised PTZ cameras – aimed at the competitive midrange CCTV camera sector. Bridging the divide between analogue and IP systems, and coupled to attractive pricing, Invictus cameras have been designed to deliver a highly competitive all-in-one PTZ camera package, aiming to provide a viable alternative to low-cost options. Packed with high-end functionality, performance and proven reliability, Invictus Dual Hybrid functionality offers enables installation within existing analogue systems, or stunning full 1080P HD video streaming and IP control – without the need for camera hardware changes. Invictus achieves incredible ultra low-light colour/mono imaging performance via the choice of either the latest 1/2.8” Sony StarVis, or 1/1.9” Sony Exmor R (Ultra) best-in-class HD camera modules, with a choice of 20:1 or 30:1 zoom. And providing unobstructed scene imaging, Invictus views 360 degrees pan and 160 degrees tilt, alleviating the viewing limitations associated with PTZ dome cameras. For flexibility of control, Invictus is compatible with a wide-range of data protocols and VMS offerings, and features industry leading ONVIF 2.4 Profile S integration. Watching over intelligent illumination and Night Setting Presets during periods of inactivity, an advanced Low Power mode reduces power consumption by up to 50%, to control illumination and power consumption for use within low power consumption sensitive applications. Enhancing 24-hour operation, the new Invictus range is the only ruggedised all-in-one PTZ camera to offer both IR and White-light high-intensity illuminators with an industry-leading 200m illumination. Further supporting optimum imaging, Invictus cameras employ the same proven flat viewing window and wiper system as used in Predator. Unlike with dome cameras, this design allows the wiper blades constant, even and uninterrupted contact with the window surface, keeping them clear for 100% effective scene surveillance. Available with on-board recording options up to 256GB, Invictus also draws on the field-proven 360 Vision high-end ‘Predator’ camera range for its construction from high grade, hardened aluminium and stainless steel – ensuring a rugged, durable and compact camera. An upright mounting design and full 360-degree continuous pan and the ability to tilt above the horizon, assure operators an unobstructed view of targets above the camera’s horizontal installation height. Encompassing an ultra-reliable and accurate self-calibrating Direct Drive mechanism for Pan and Tilt featuring ‘Attack detect’ with self-correction, Invictus builds on 360 Vision Technology’s R&D to equip the range with reliable and quiet operation, alongside minimal maintenance requirements and a long service life. Completing the camera package, high-quality paint finishes are available in black or white, or for operation within marine environments, a long-life paint option can be specified.